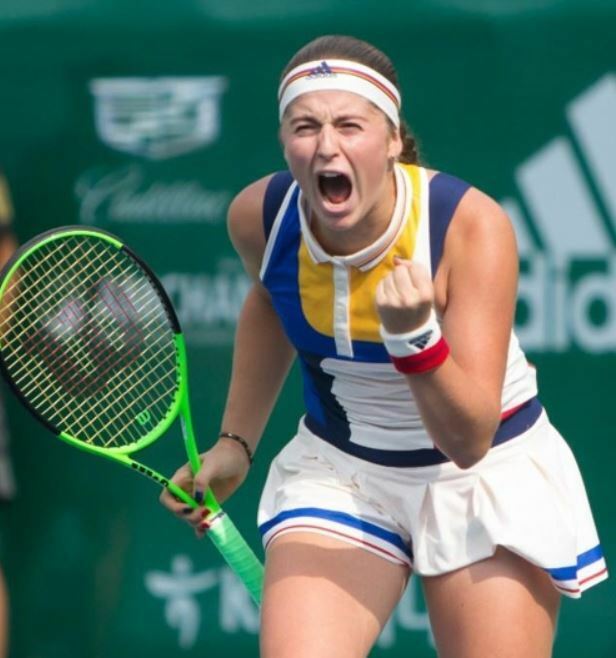 The reigning French Open tennis champion Jelena Ostapenko won a tournament in South Korea on Sunday in her first trip to the country. The world No. 10 from Latvia defeated Beatriz Haddad Maia of Brazil 6(5)-7, 6-1, 6-4 to win the KEB Hana Bank Incheon Airport Korea Open at Olympic Park in Seoul. It's the only Women's Tennis Association Tour event in South Korea each year. Ostapenko, the first player from Latvia to win a Grand Slam tournament, was the top-seeded player here. This is her second WTA singles victory. Haddad Maia, ranked 71st, was trying to win her first WTA singles title. Haddad Maia claimed the opening set in a tiebreak. Then at 5-5 in the tiebreak game, Ostapenko committed a double fault and Haddad Maia scored the decisive point to go up by a set. Ostapenko dominated the second set, getting in 10 winners compared to just one by Haddad Maia. The two engaged in a seesaw battle in the third set. Down 3-2, Haddad Maia broke Ostapenko to tie things up. Then it was the Latvian's turn to break the Brazilian's serve and take a 4-3 lead. Ostapenko then battled some shaky groundstrokes. Haddad Maia broke her once again to make it 4-4, but Ostapenko answered right back to take the next game, taking advantage of Haddad Maia's unforced errors. Ostapenko then finished off Haddad Maia 6-4 in the third set, ending the match after two hours and 15 minutes. The winner took home US$43,000. Ostapenko was a huge crowd favorite in Seoul all week. The final match drew some 9,000 fans to the center court for the tournament's first sellout since the inaugural event in 2004, when Maria Sharapova, fresh off her Wimbledon title, came to dominate the competition. Ostapenko said she enjoyed her time in South Korea and she looked forward to returning in the future.